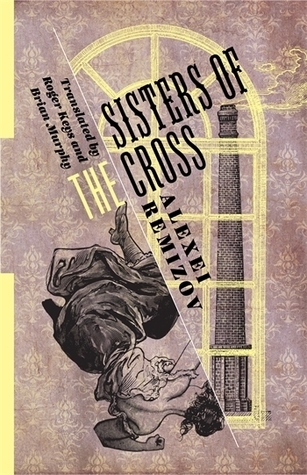 Sisters of the Cross was a fascinating read. From the start, I found myself swept into Marakulin's world and experienced his highs and lows, gaining insight into his mind. This story put me in mind of two other works. Firstly, Kafka's The Trial, as there was that same sense of non-understanding about his situation as the story began. Secondly, Dostoevsky's Crime and Punishment, as there is something of Raskolnikov about Marakulin. The book is very atmospheric, and it draws you into the lower spaces of Petersburg and those who occupy them. Every character came across as complete and interesting, and I loved the feeling of non-reality at times, when you weren't certain if what Marakulin was describing was real or a figment of his imagination. If you enjoy works by writers like Kafka, Camus and Kundera, then this is a book for you! Sounds like quite an interesting book from your review, will definitely pick it up on my next book shopping spree. Your reviews are always very accurate, looking forward to more posts from you soon.